The Workplace Safety and Insurance Board (WSIB) of Ontario has come out with a new operational policy that will determine when medical cannabis is necessary or appropriate for medical conditions that are the result of an injury in the workplace. Herbal medical cannabis has not gone through Health Canada’s drug review and approval process which requires any new drug to go through a rigorous regulatory approval process, reports WSIB. WSIB officials say this doesn’t mean that there are no cases where WSIB will grant access to medical marijuana following an injury. When a person is granted use of medical marijuana, the WSIB will monitor the worker’s use and effectiveness and will suspend access if it is no longer determined necessary, said Christine Arnott, WSIB public affairs manager. “The legalization of cannabis doesn’t affect its medical use for approved claims. Our medical cannabis policy will be used to determine when it is necessary and appropriate for benefit coverage,” said Arnott. Once an injured worker gains access to medical marijuana, the process isn’t over. User’s can expect regular reviews no more than three months after the date of initial access or when an adjustment is made to the worker’s dose. Reviews can occur within regular intervals of no more than six months from the previous review. And WSIB has the right to suspend or discontinue entitlement to medical cannabis where there is evidence that it is no longer necessary or appropriate. These include situations where the worker experiences insufficient progress towards identified treatment goals, adverse side effects, the worker develops cannabis-use disorder, or the treatment impedes the worker’s recovery. WSIB will also discontinue access if there is evidence the worker is selling or providing cannabis to others. People with permission to use medical cannabis will also receive payment for reasonable costs if the entitlement meets criteria, are a licensed holder, and received proper documentation for prescription. Worker’s could even get approved vapourizers – but no other devices or paraphernalia for medical cannabis will be covered. The policy was created while thinking of four major pillars in mind: scientific evidence, clinical guidance, the workers’ compensation system, and federal access to medical cannabis scheme. WSIB reports that though scientific evidence does not support medical cannabis, there is still relatively strong agreement across peer-reviewed sources that medical cannabis has some therapeutic value for five work-related conditions. WSIB determined what the entitlement criteria would be after consulting with medicine, pharmacy, and nursing. 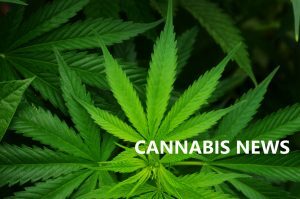 Prior to the policy taking effect as of March 1, any requests for coverage of medical cannabis were considered on a case by case basis, reports Arnott. A total of 32 claims were approved for medical cannabis. Statistics for approved cases since the policy came into effect are not available at this time. Sandy MacLeod, president of the Heating, Refrigeration and Air Conditioning Institute of Canada, said that HRAI hadn’t received any response from contractor members over the new Ontario policy. He expects that HRAI will create a webinar about cannabis-use and what this may mean for a contractor’s businesses. “I think what we are hearing is this is just another substance abuse issue that all employers need to be aware of. And it’s early days. This is still evolving,” he added. The entire WSIB policy is available at www.wsib.com.